If you share your birthday with famous January 17 birthdays, you don’t have any problems meeting and making new friends but keeping them may be another story. As a child, famous people born on January 17th may have experienced some hardships and that could affect the way they look at relationships as an adult. They seem to be fearful when it comes to intimacy or act indifferent to others when there is no apparent reason for it. However, they are a good friend when they let down their guard. As a rule and more than likely because of their past, famous people born on January 17 tend to be inaccessible. But they are capable of having a sense of humor and an optimistic attitude. 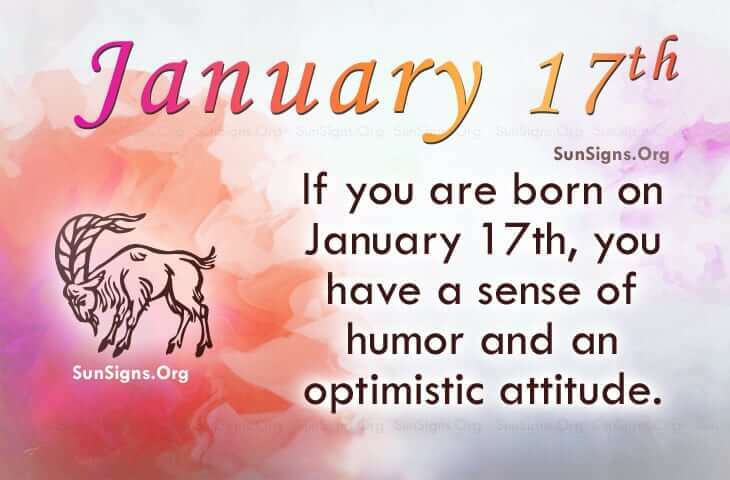 On the lighter side, famous Capricorns born on January 17 are generally ambitious people who are driven to succeed. With their many talents and skills, they find it challenging to do mindless task. Famous people born on January 17 have set some very high standards to live by. It is important that they lead rather than follow. The resourceful Capricorns born on this day have divine functions. Their star sign implies that they are in popular demand. Get a list of famous January 17 birthdays and names below.